Measuring about 86 to 102 cm in length, the monkey-eating eagle can be found in the Philippine forests. It got its name from the belief that it used to feed on monkeys. The great white shark is considered to be the largest predatory fish in the world. Its powerful tail makes it possible to swim as fast as 15 miles per hour. It feeds on other marine animals like sea turtles, sea lions, and seals. The stonefish has the reputation of being the most venomous fish in the world. Its physical features allow it to camouflage and attack on unsuspecting preys. Distinct for its pale blue color,the box jellyfish is one of the most dangerous marine creatures. It has stinging cells on its tentacles that are venomous to both animals and humans. The poison dart frog is usually found in the forests of Costa Rica and Brazil. This poisonous frog typically feeds on fruit fly. 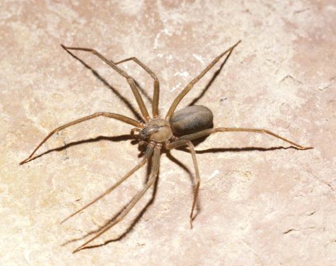 Growing between 6 and 20 mm, the brown recluse spider is famous for its fatal bite that can lead to necrosis. Their diet comprised mostly of crickets, bugs, and cockroaches. Found in the forests of Madagascar, fossa is a cat-like animal that feeds on wild pigs and mice. It has claws and sharp teeth that it uses to attack its prey. The Siberian tiger is believed to be capable of traveling up to 1,000 km. It’s a carnivorous animal that feeds on deer, wild boar, and elk. Known for being a powerful predator, the orca or the killer whale dwells on cold, coastal waters. It preys on other marine animals like the sea lions and seals. 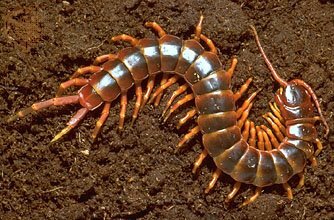 The Amazonian giant centipede is named as such because of its size (it can reach over 35 centimeters). It is known to be a scavenger and feeds on smaller bugs. Toptenimals - Awesome Animal Pictures From Across The Interwebz Copyright © 2014. Theme by MyThemeShop.